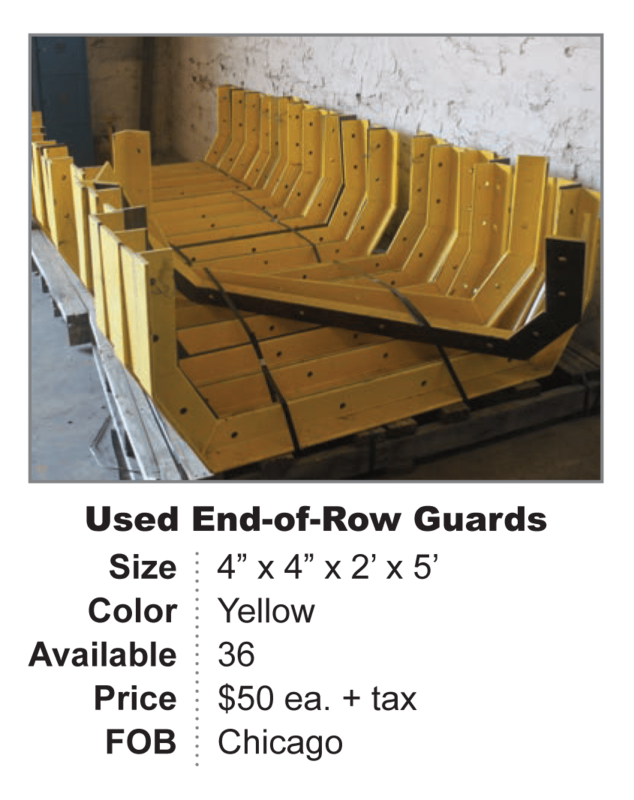 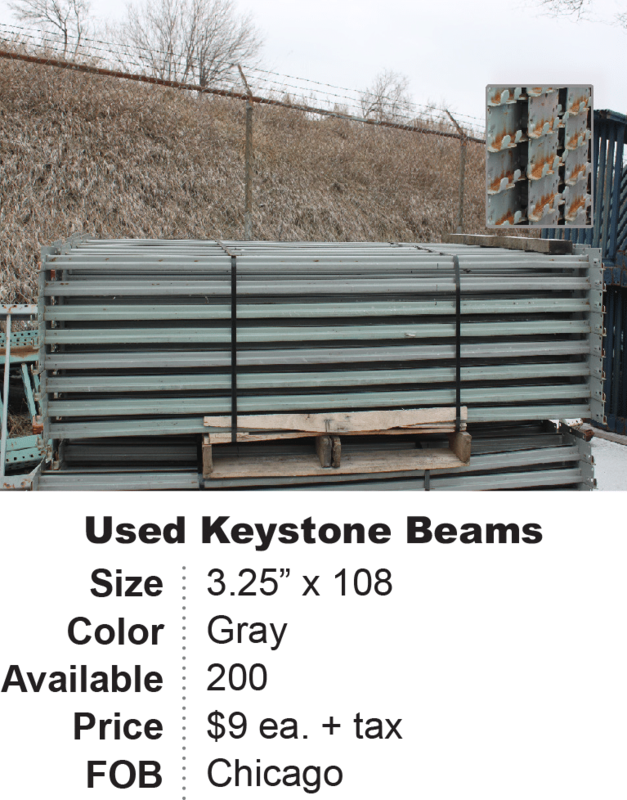 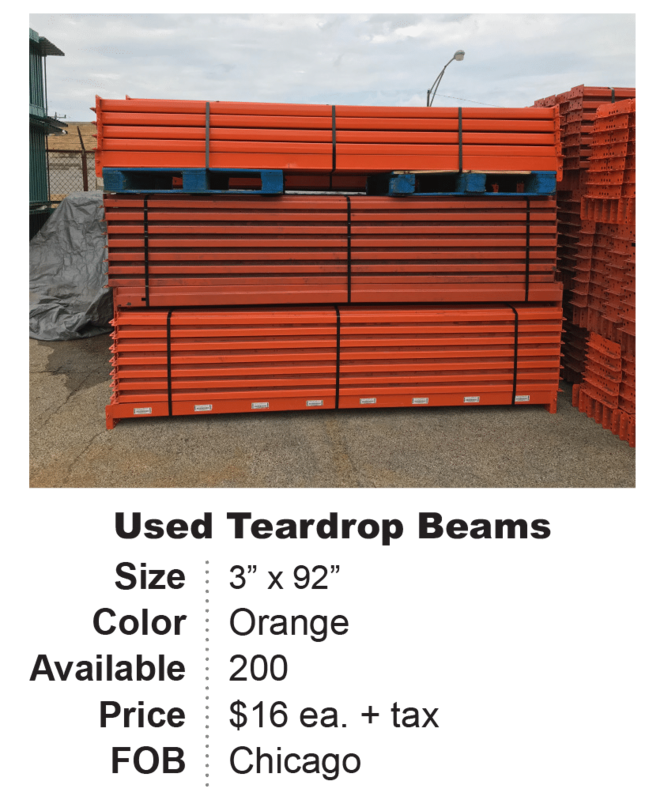 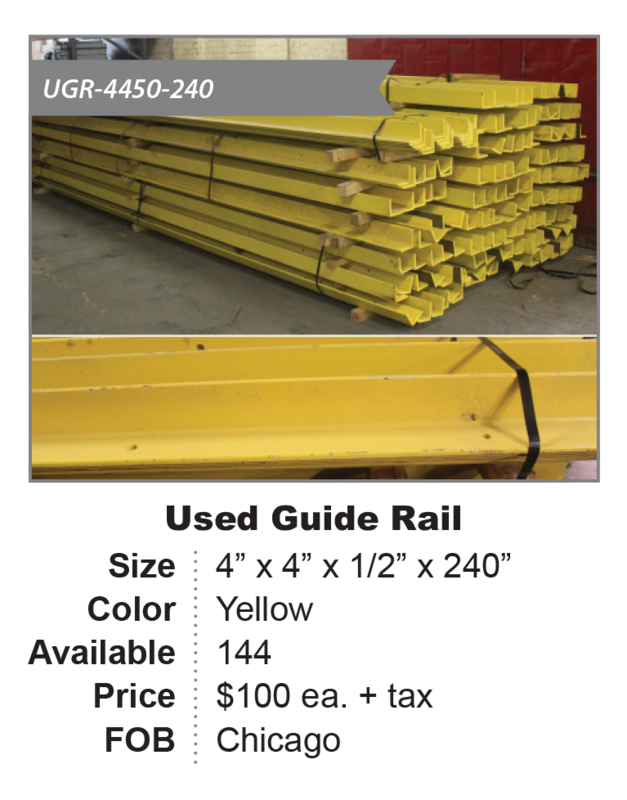 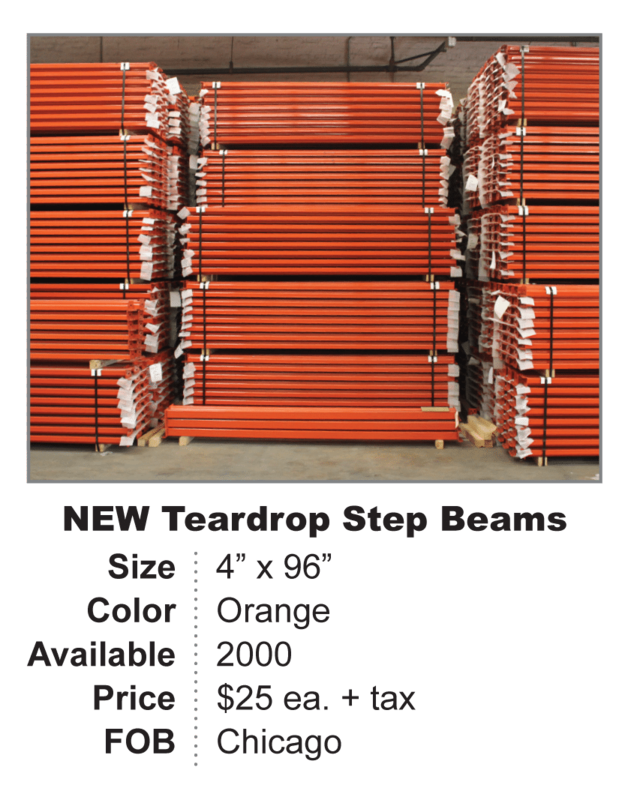 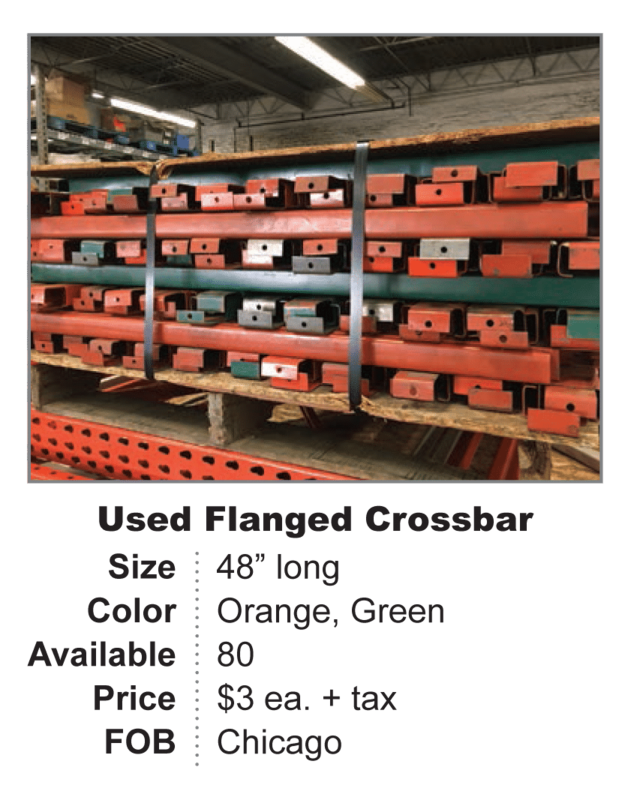 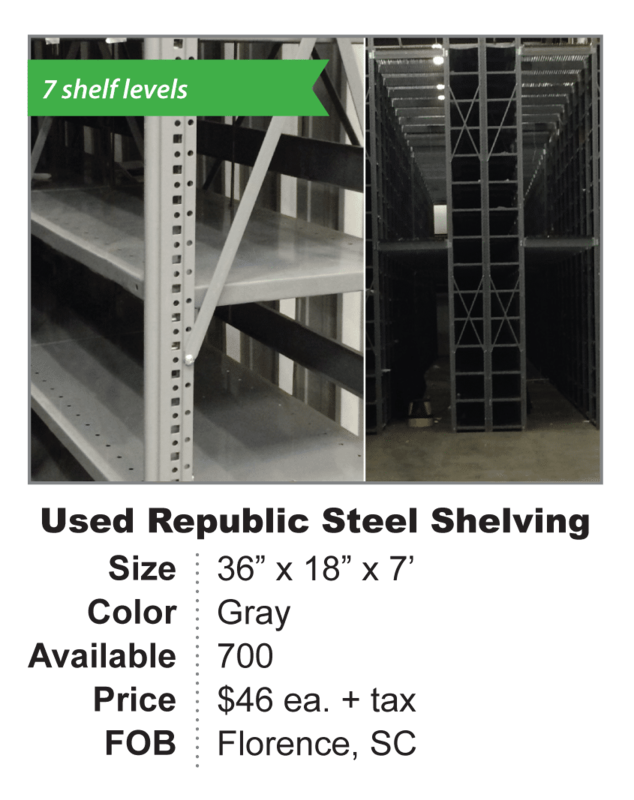 REB Storage Systems International is pleased to offer a wide selection of used pallet rack including used beams, used uprights, and other pallet rack accessories. 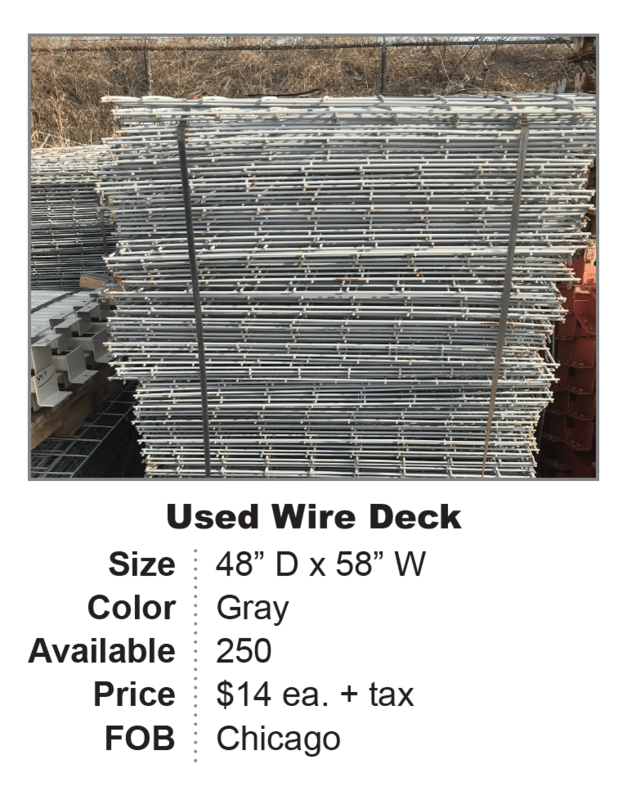 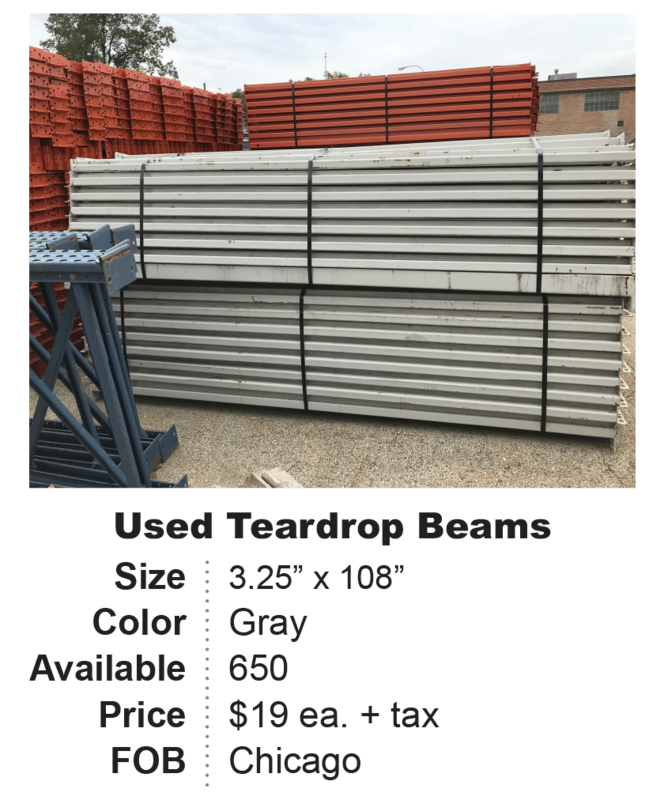 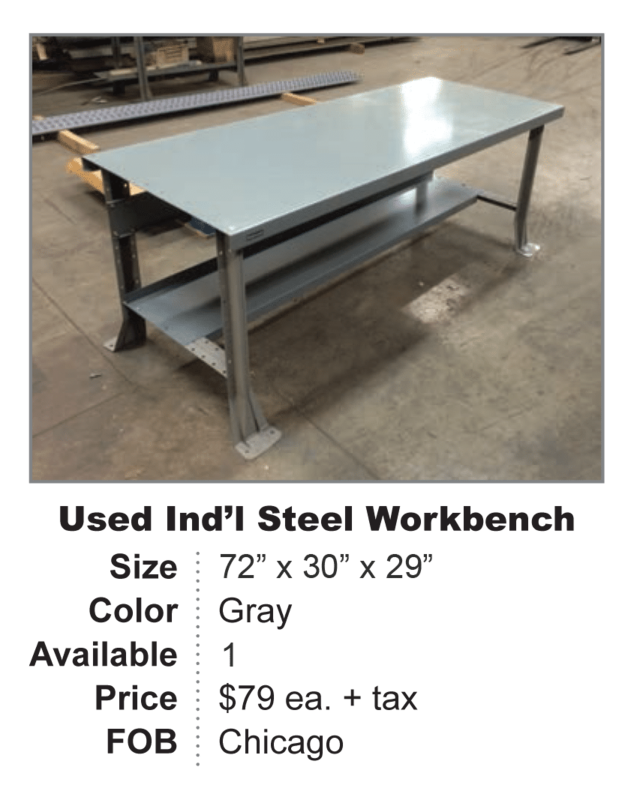 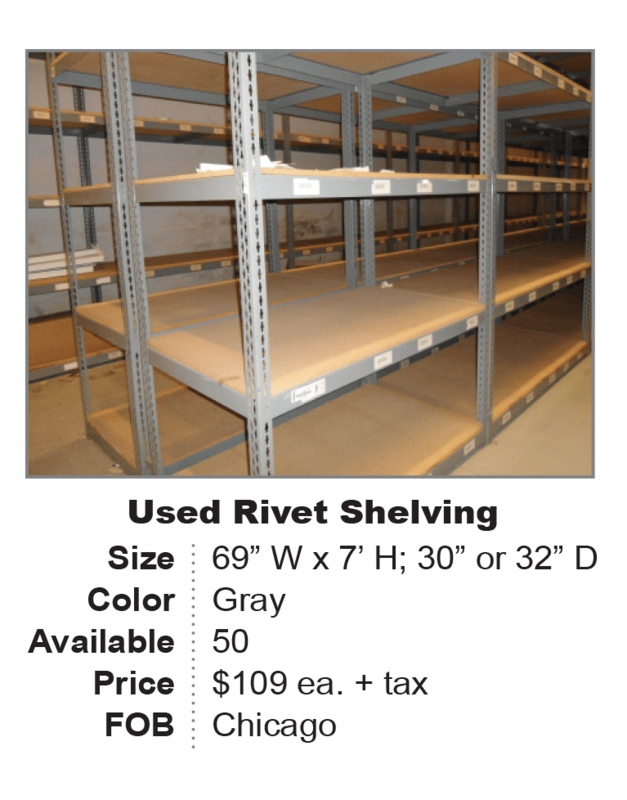 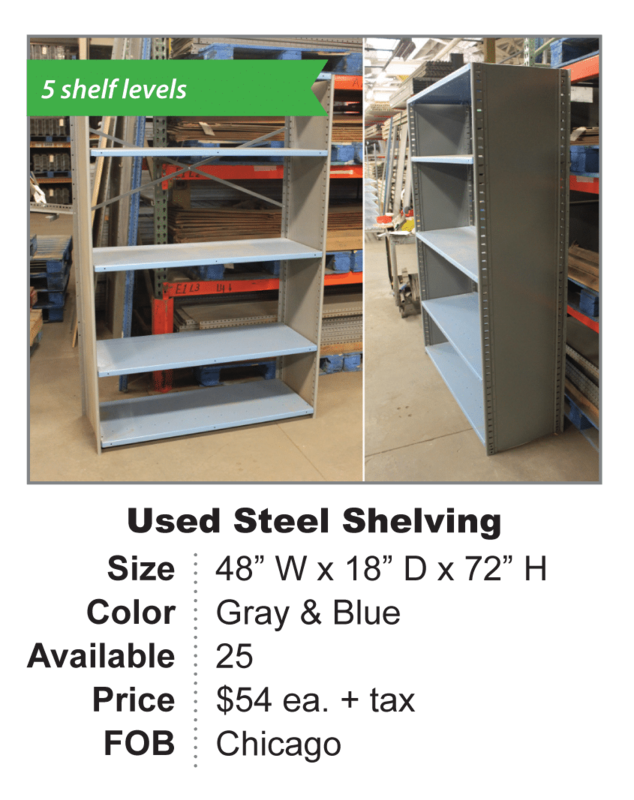 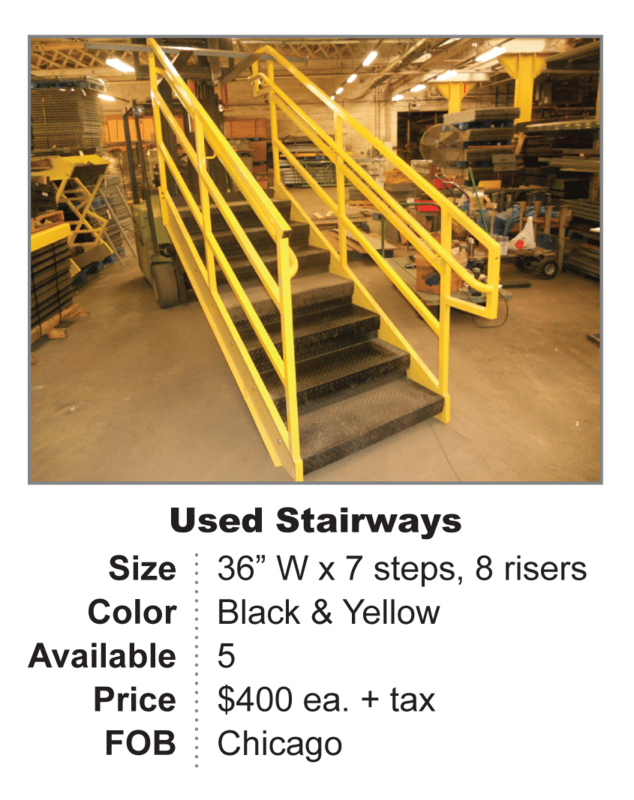 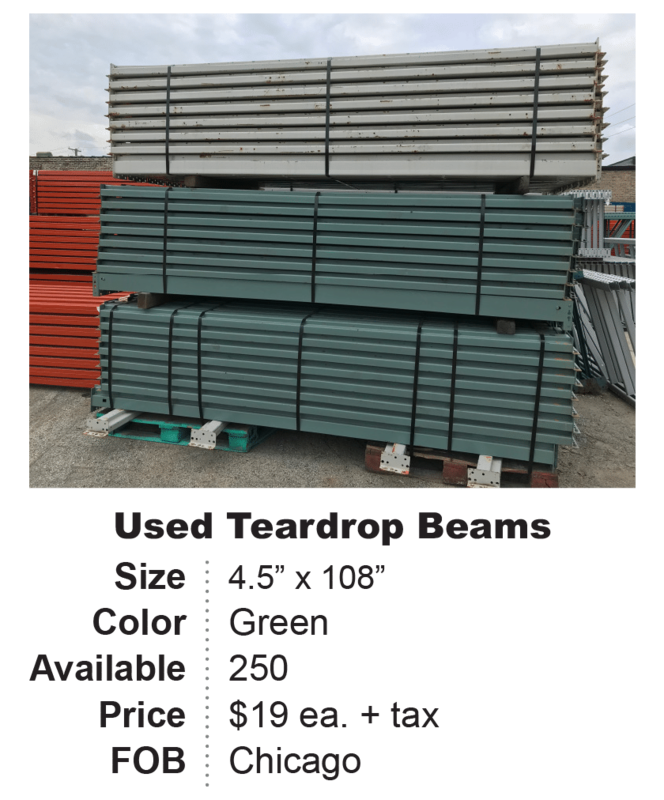 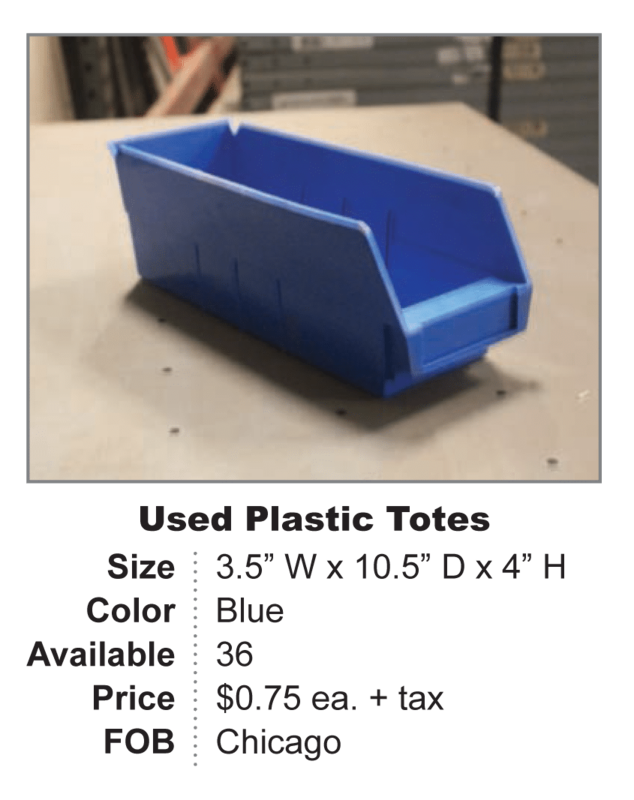 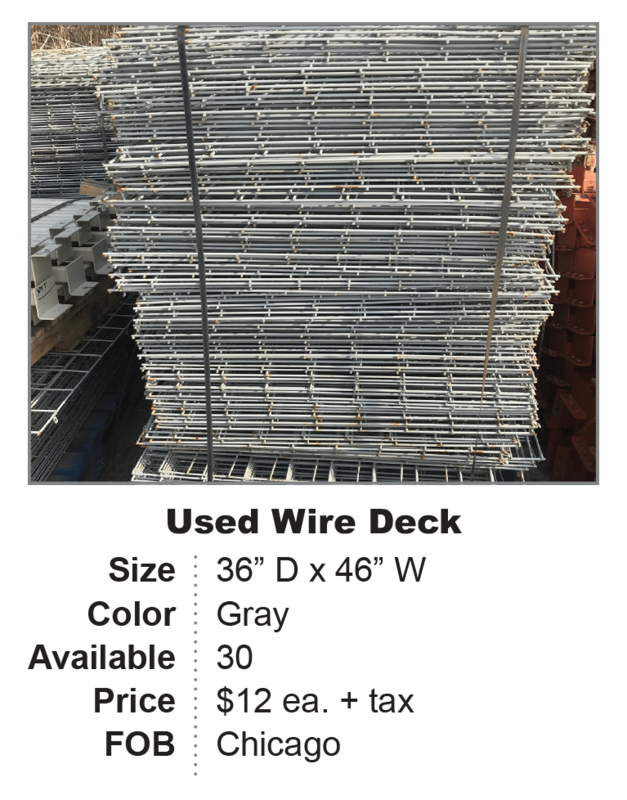 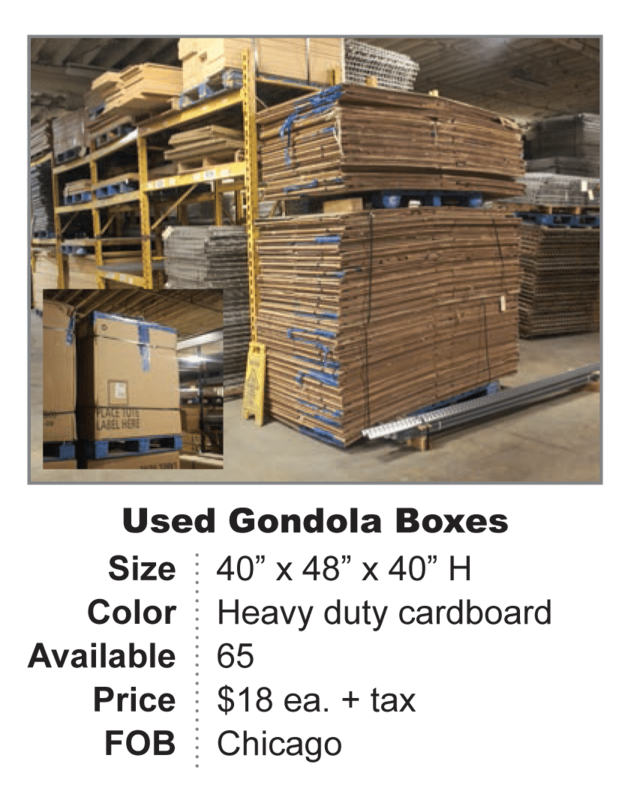 In addition, we offer used shelving, used decking, and other used industrial equipment for warehouses, distribution centers, records centers, and many others. 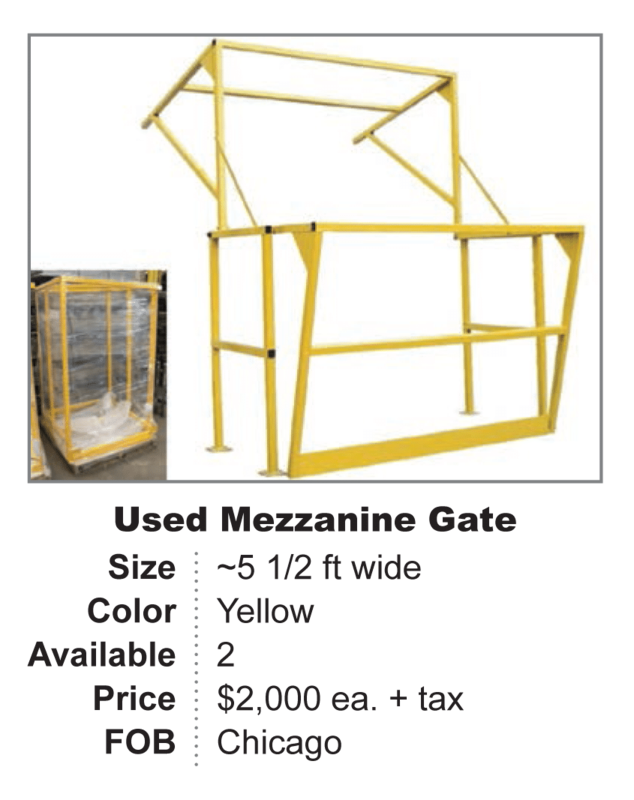 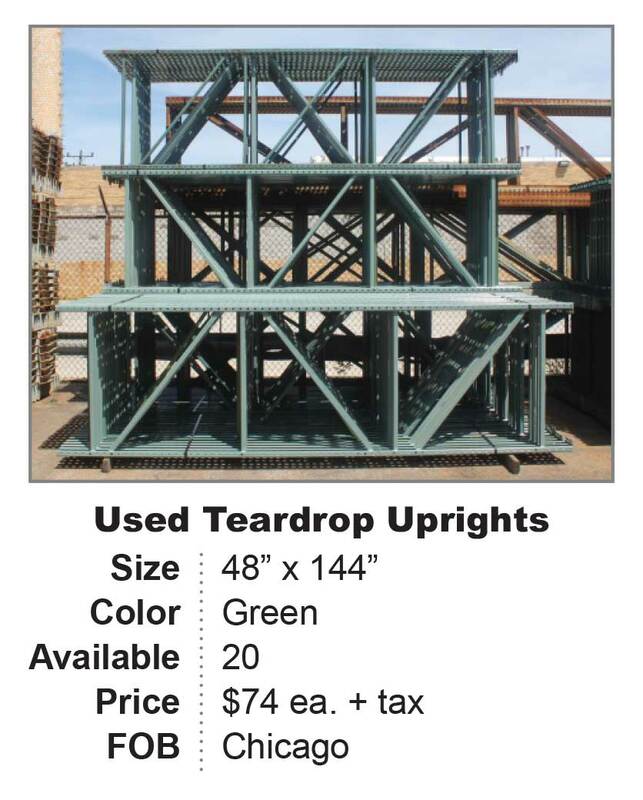 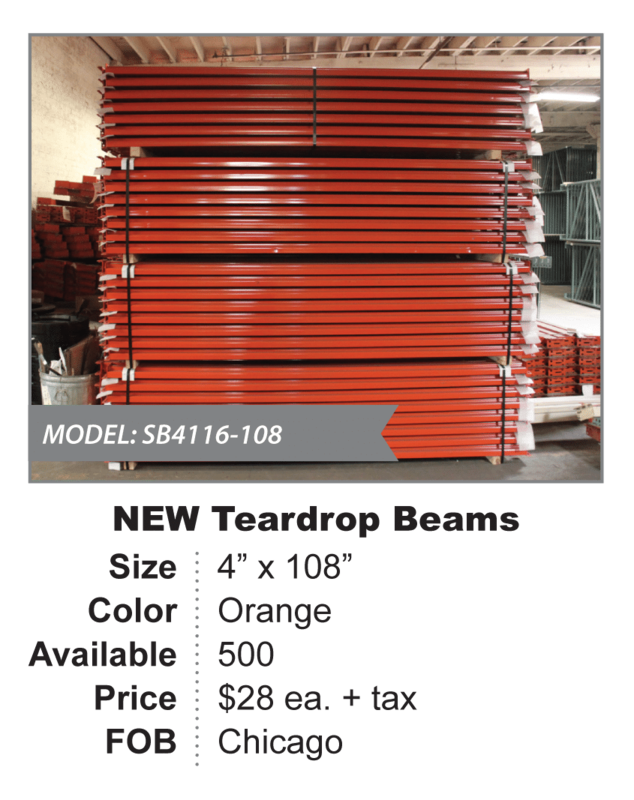 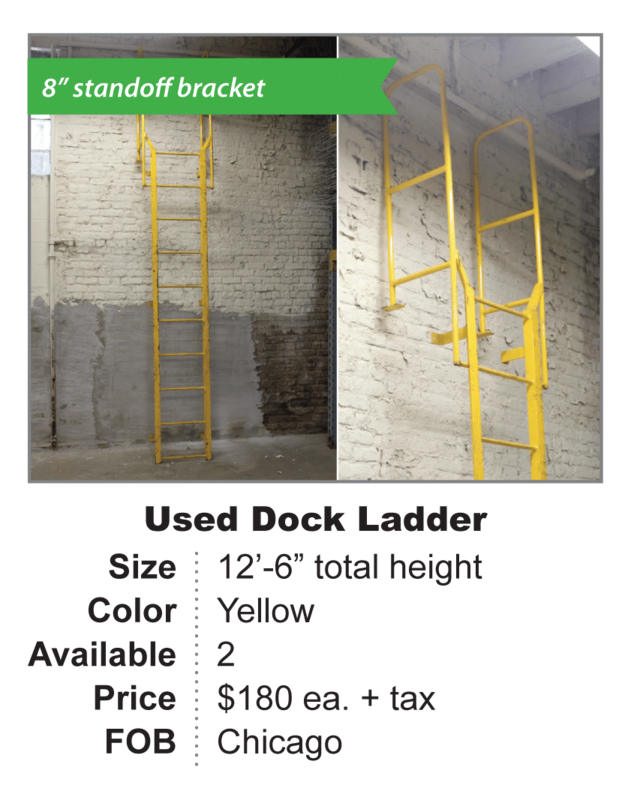 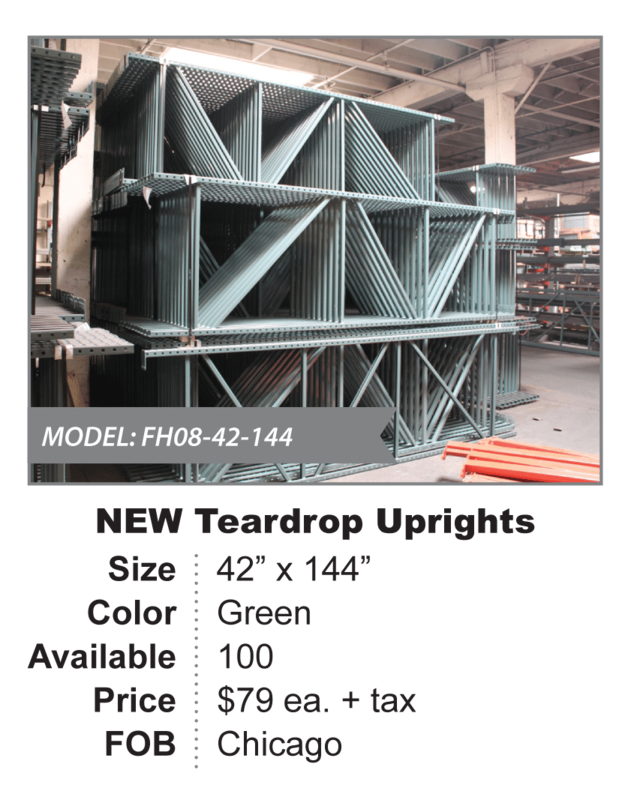 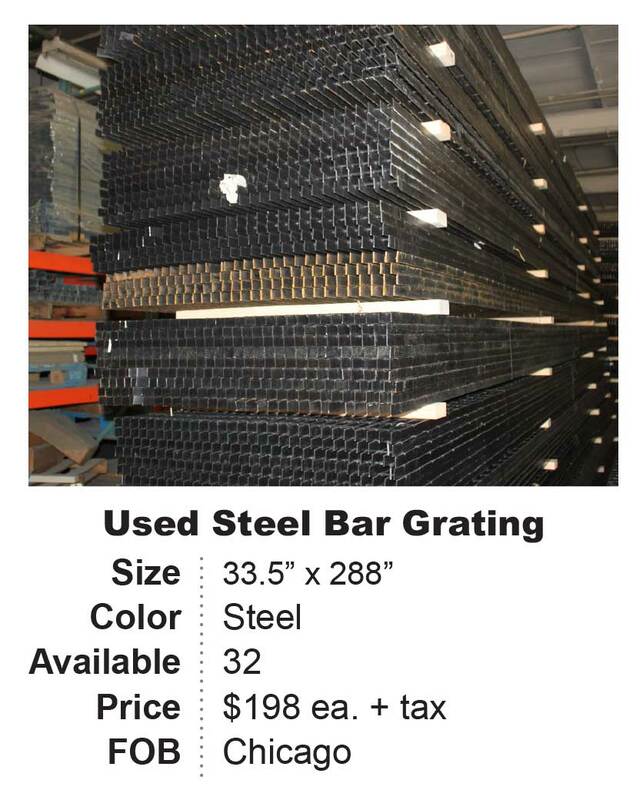 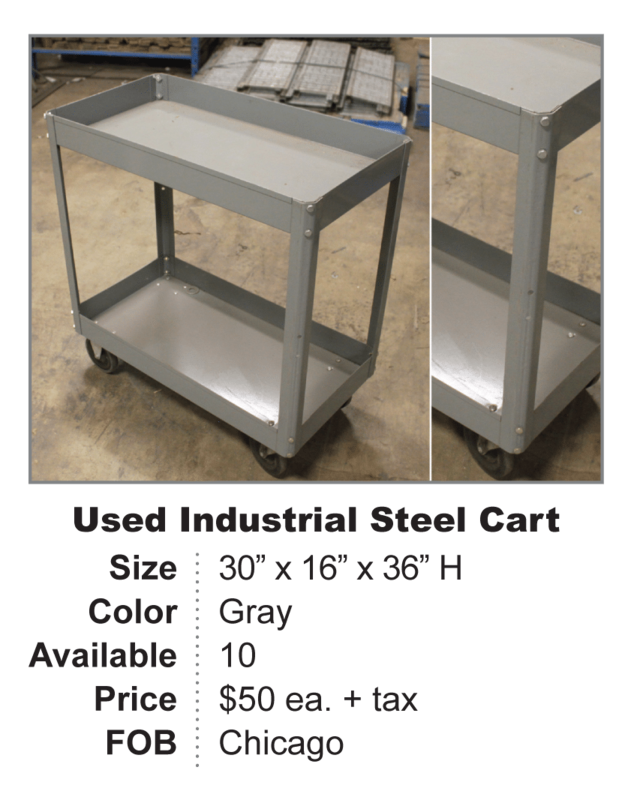 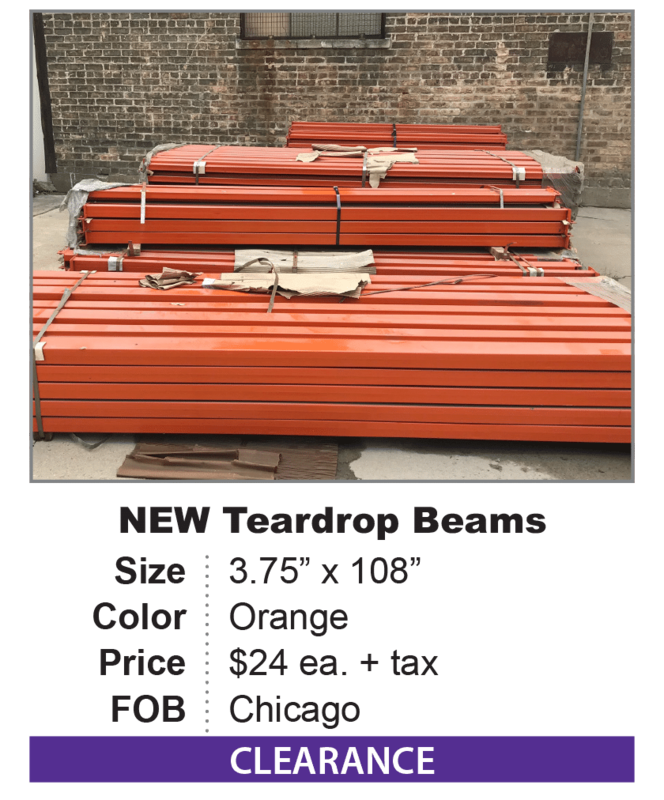 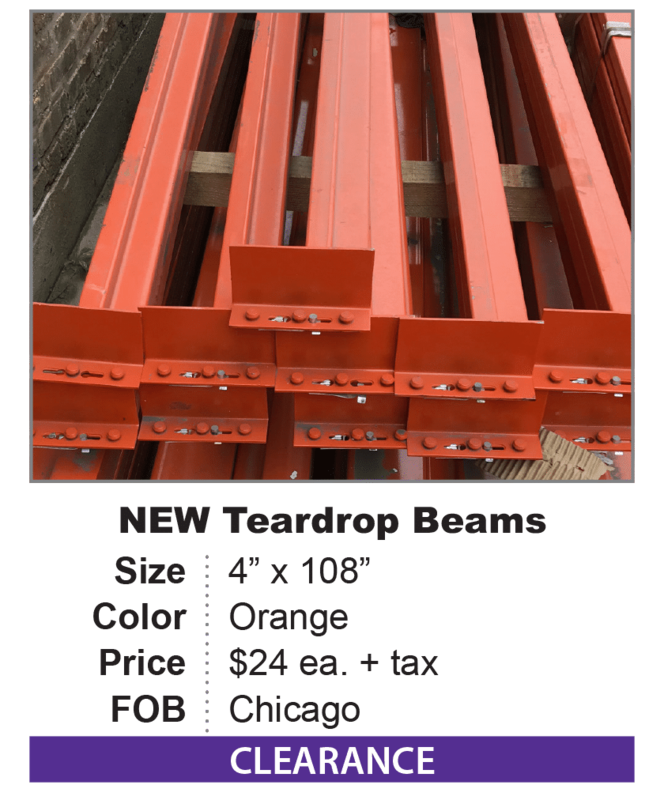 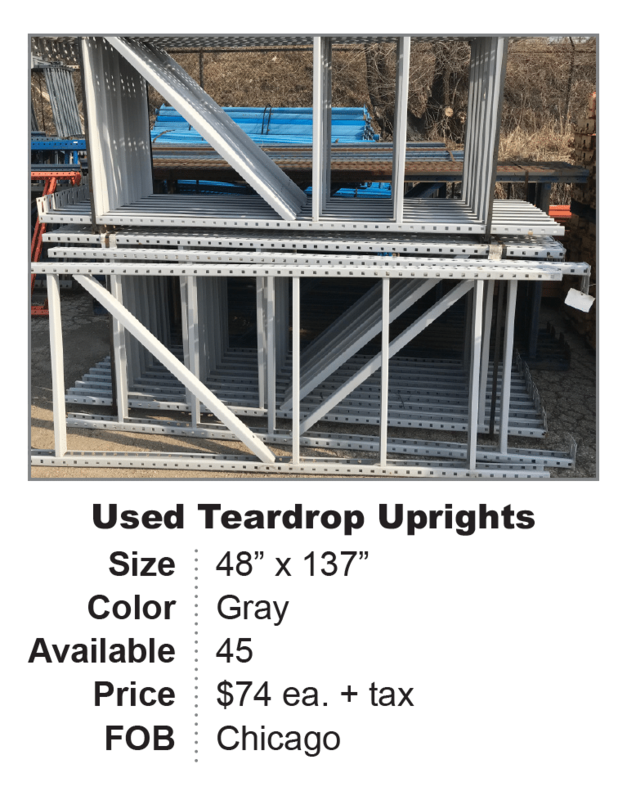 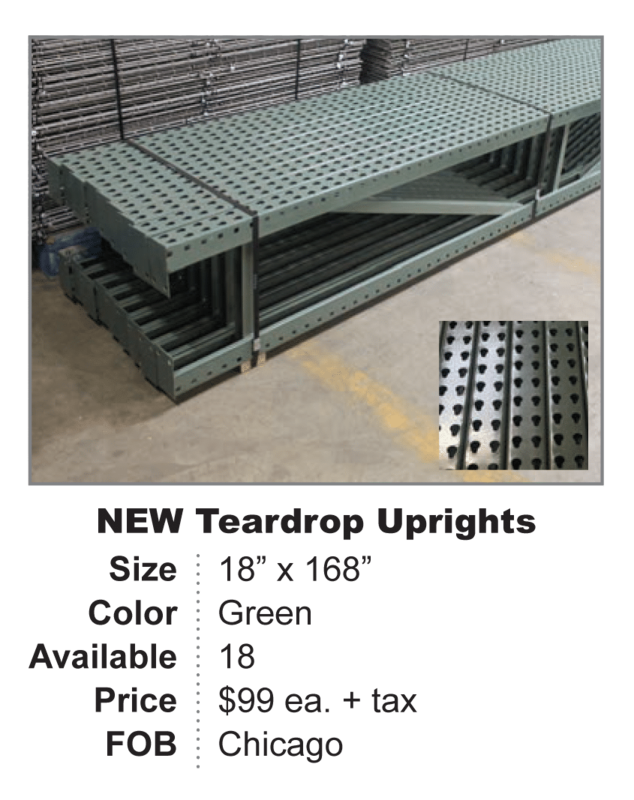 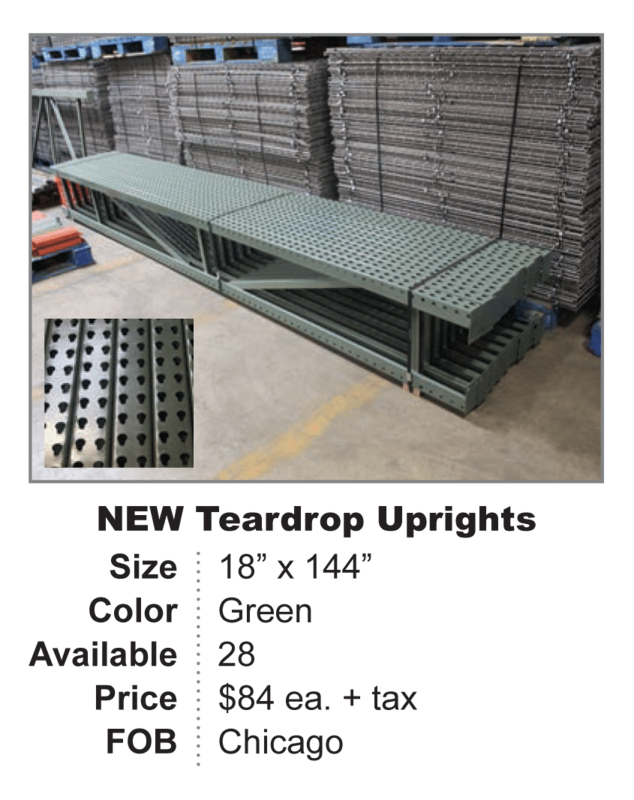 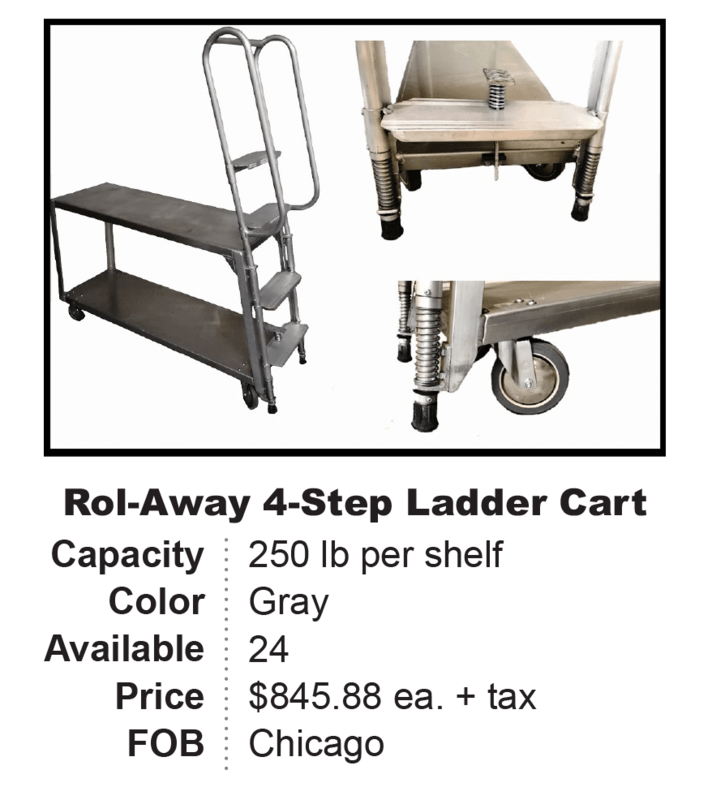 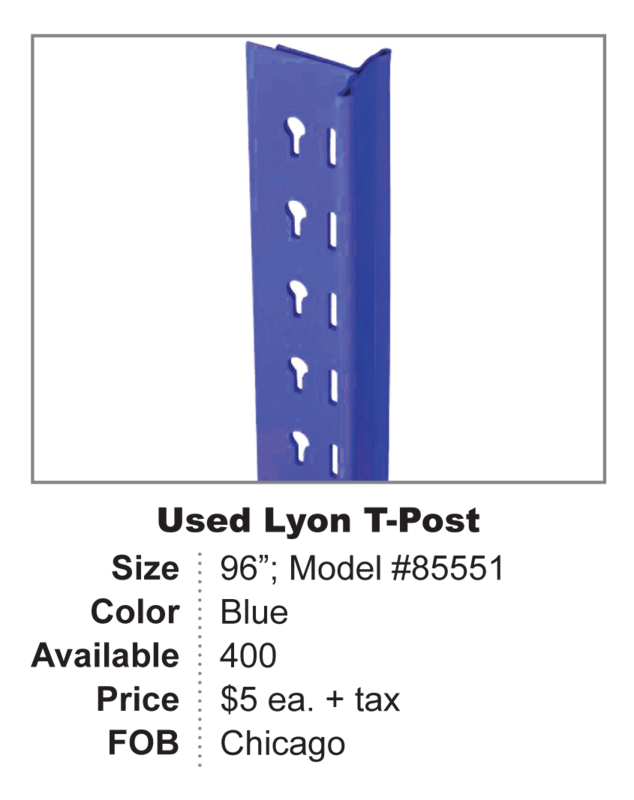 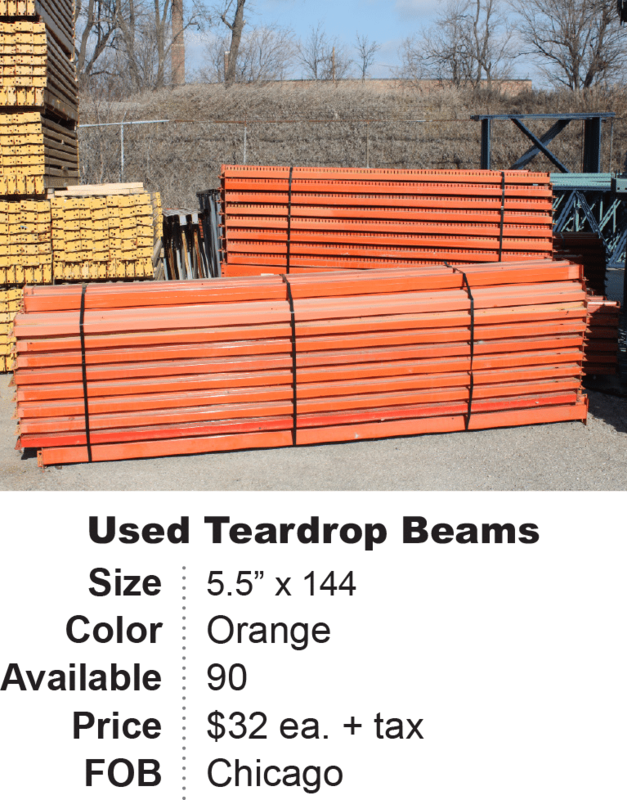 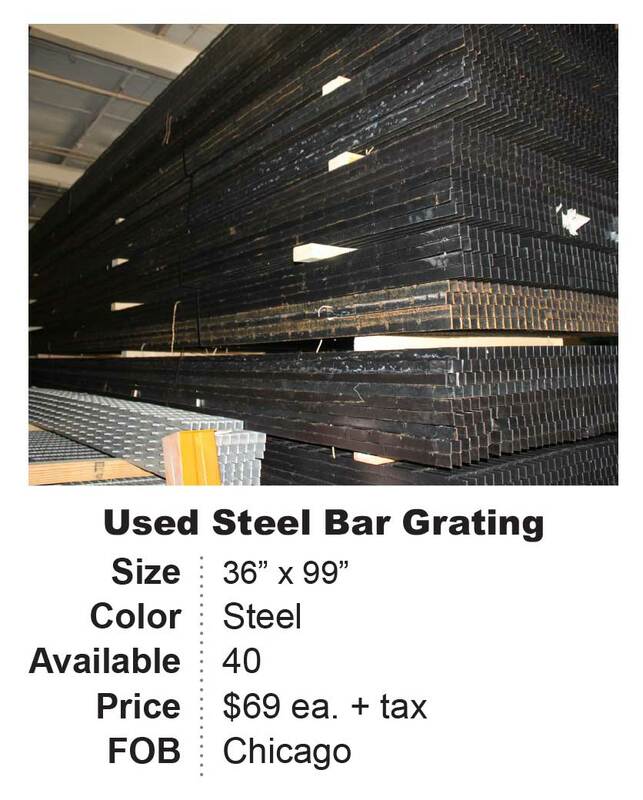 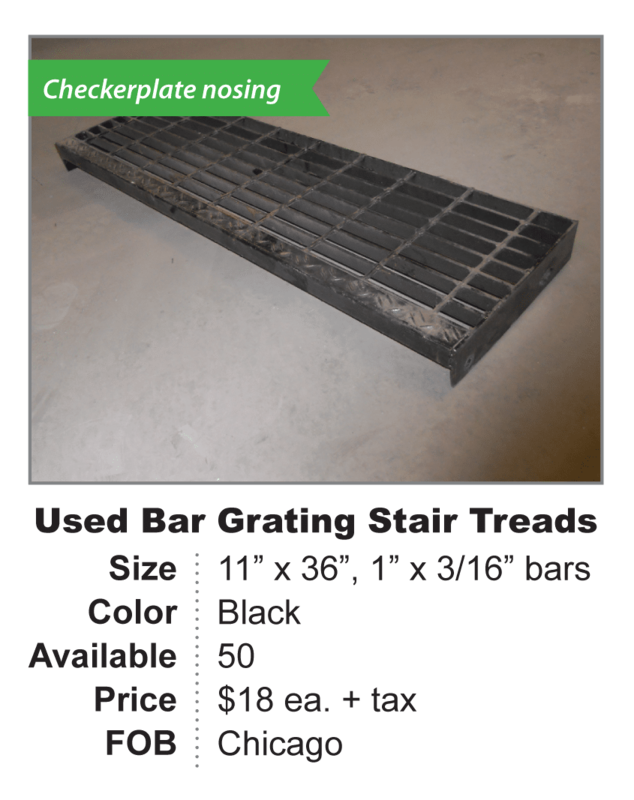 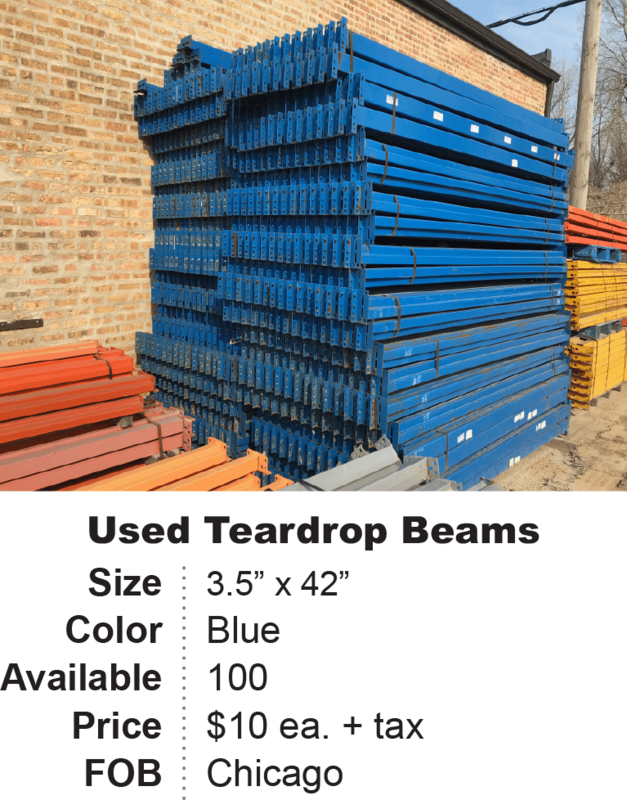 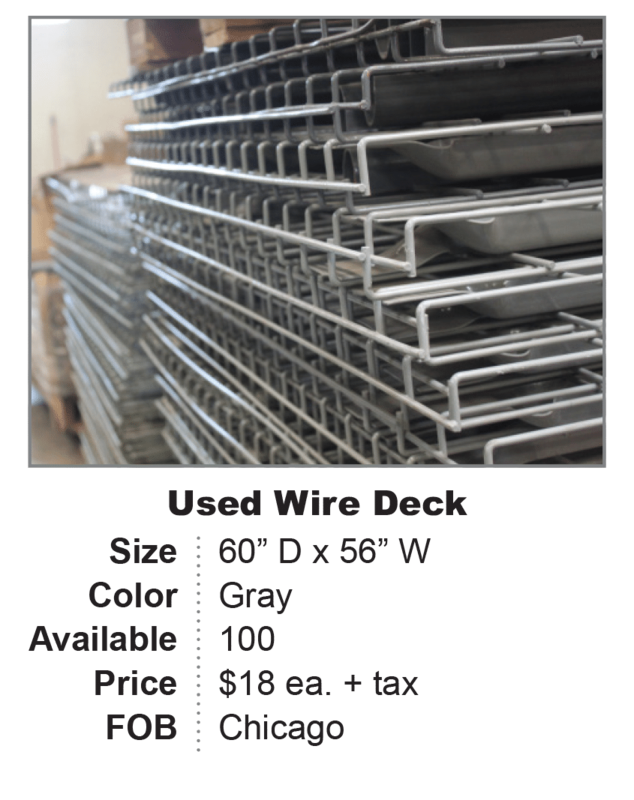 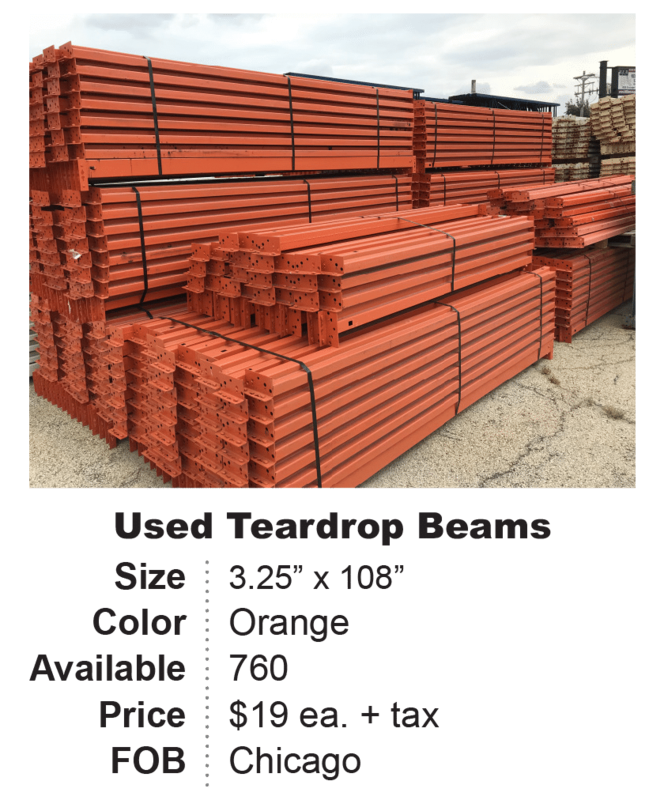 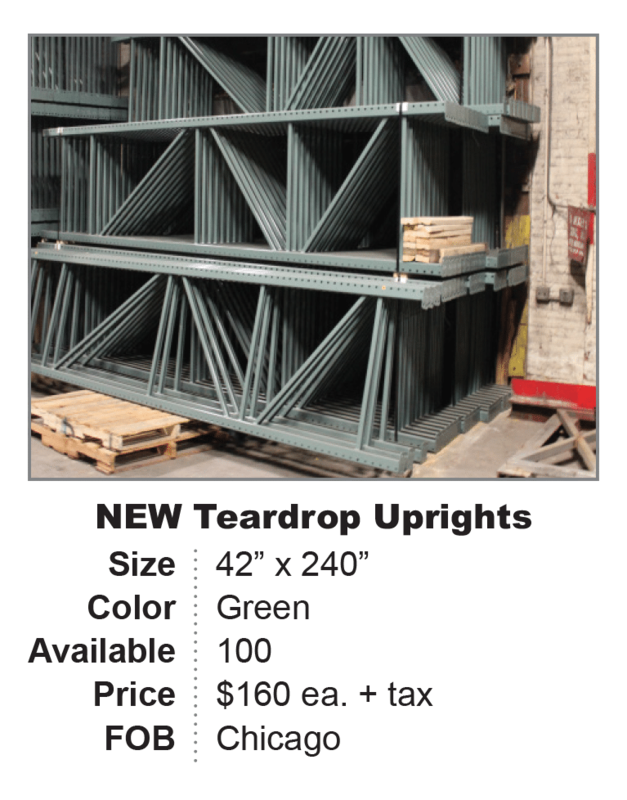 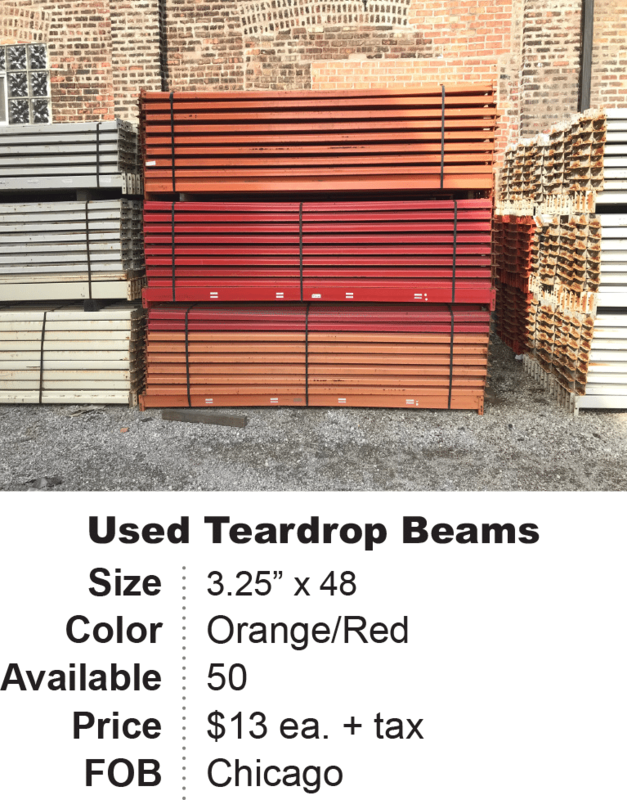 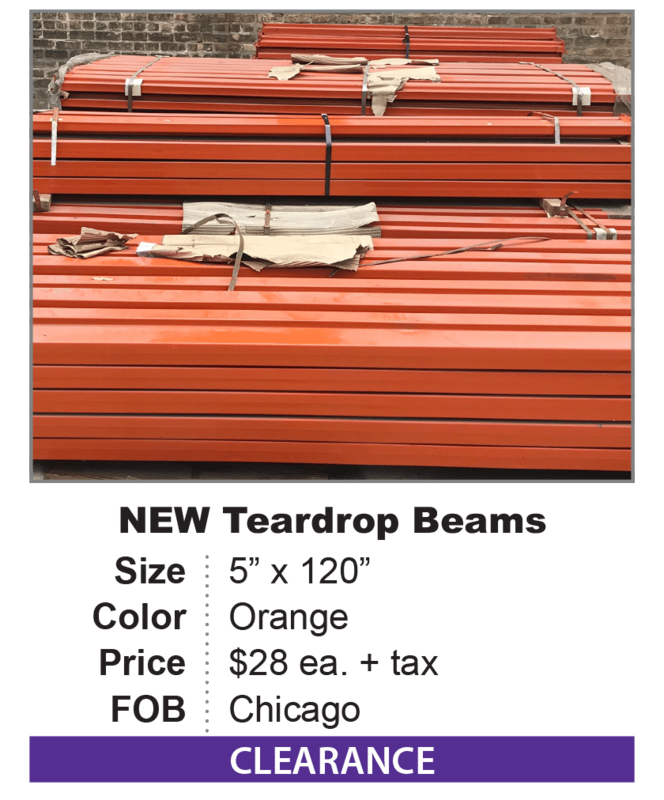 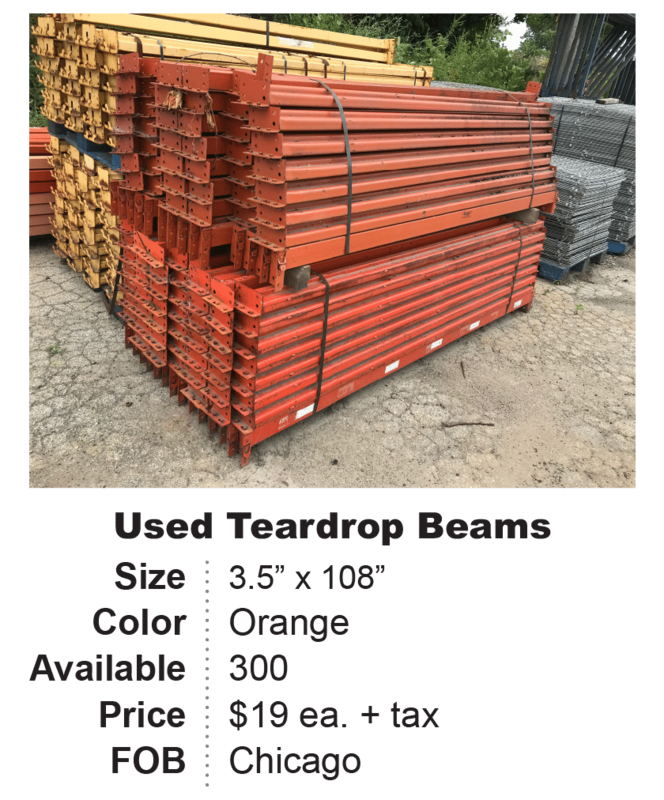 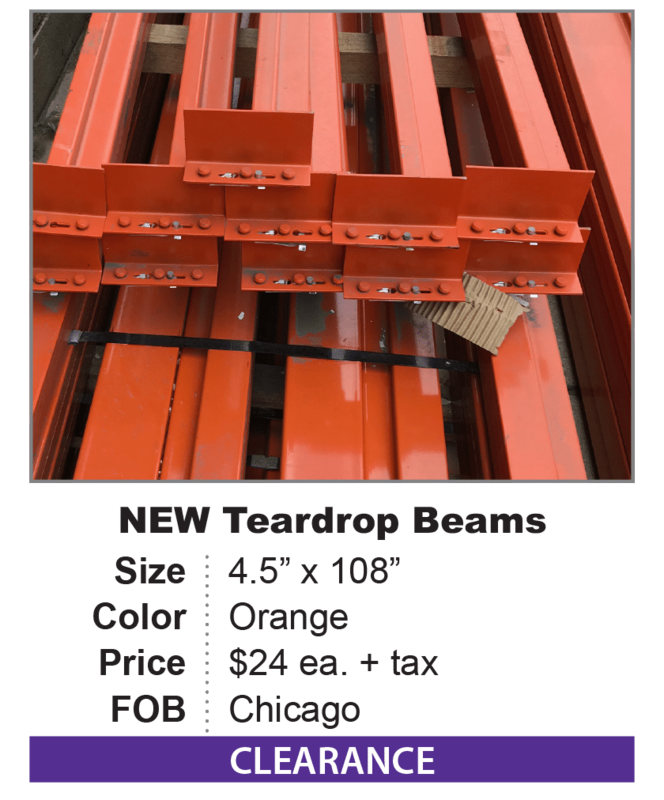 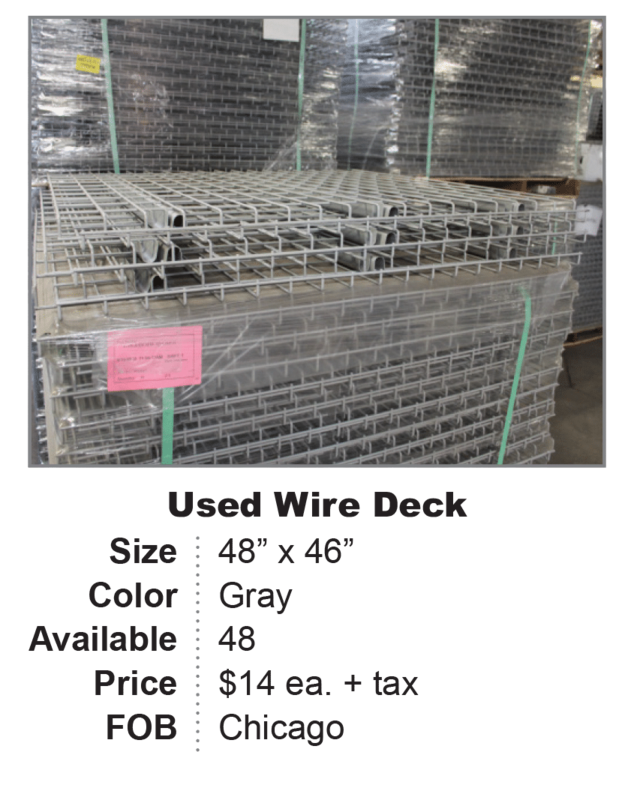 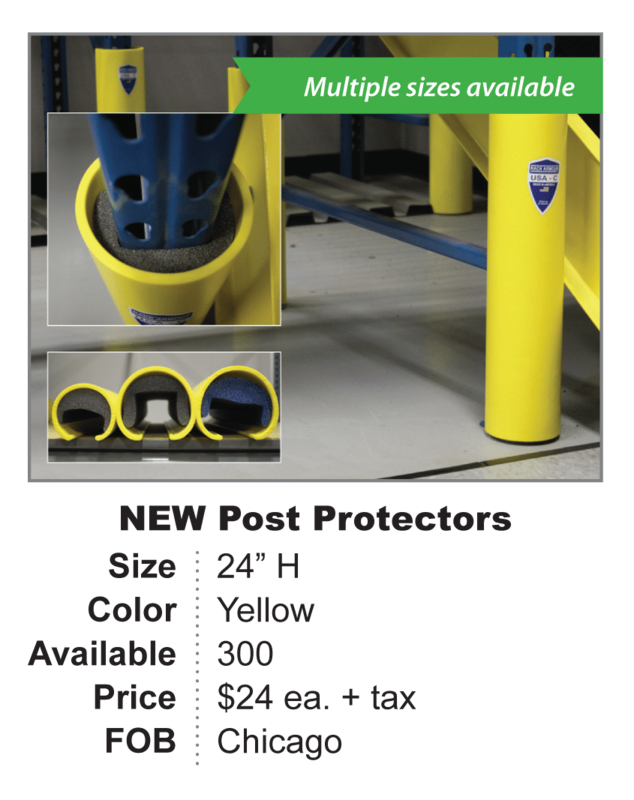 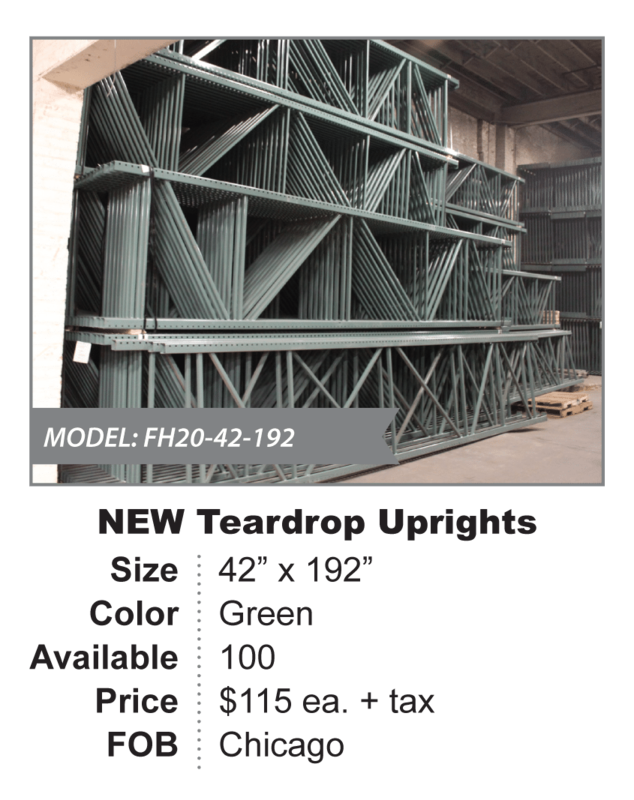 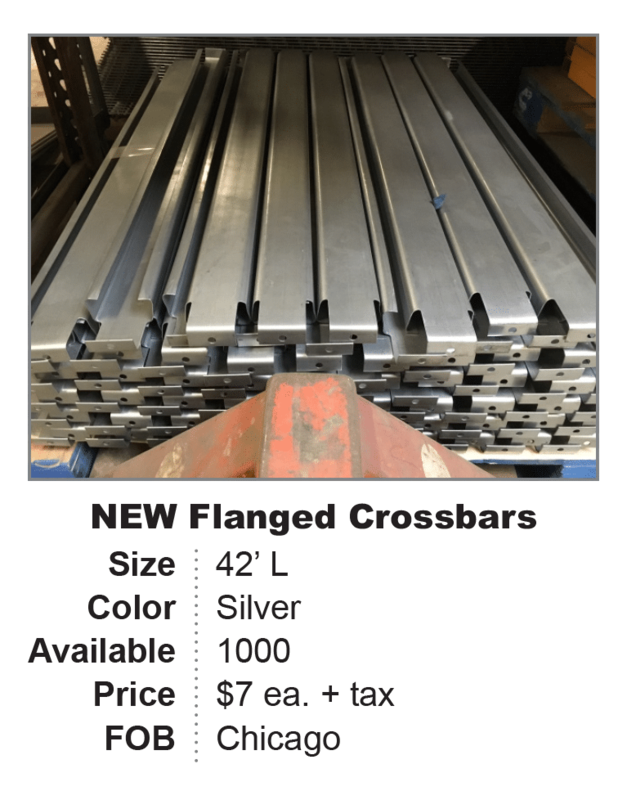 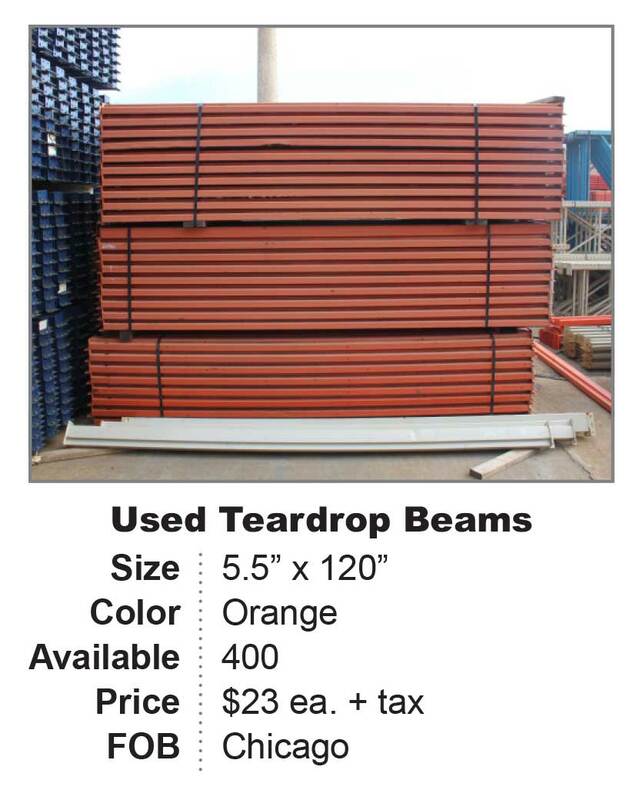 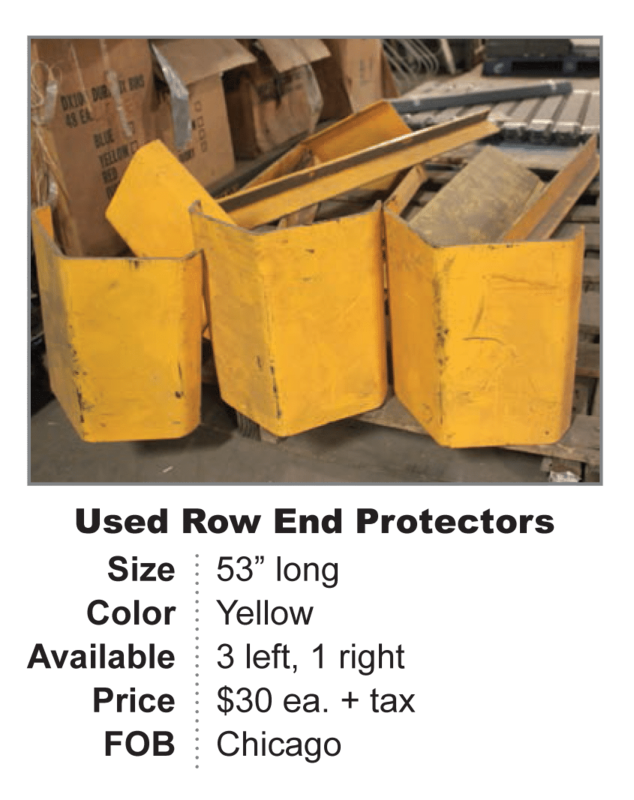 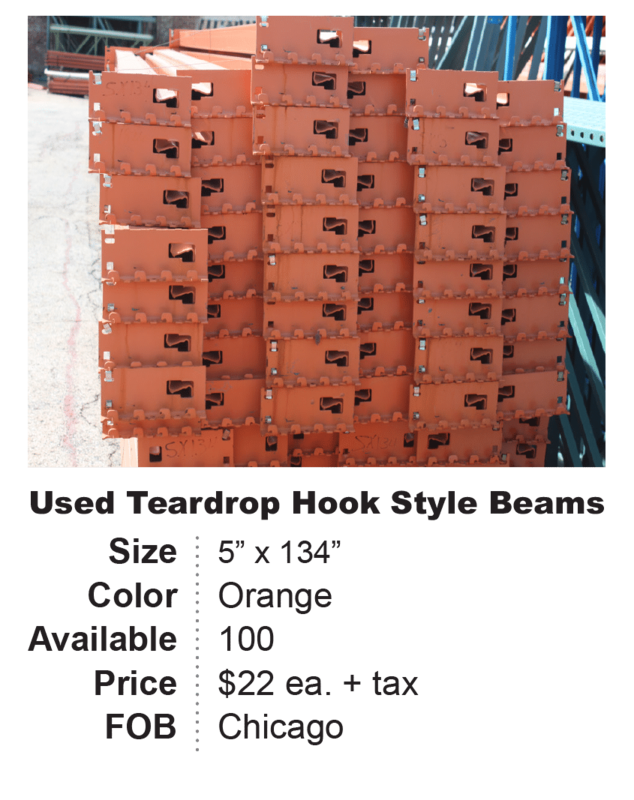 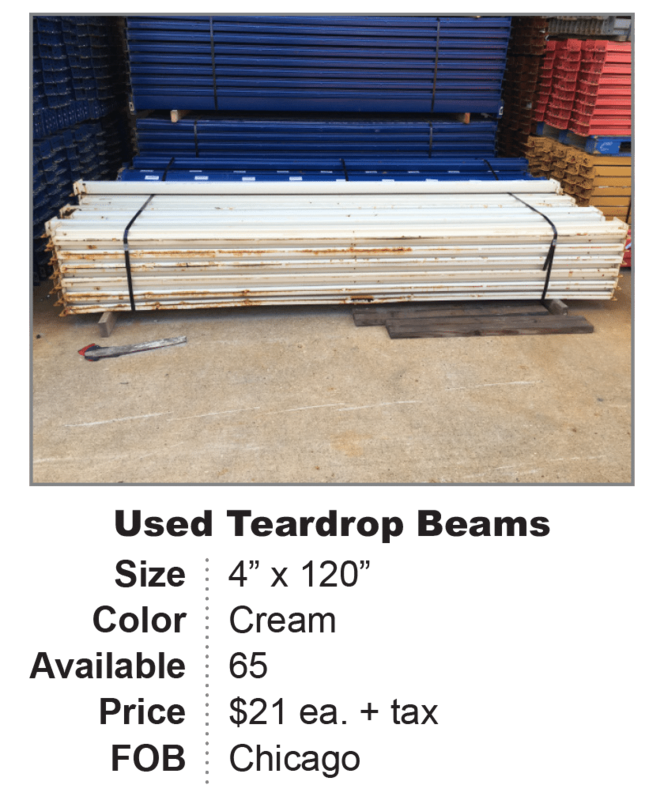 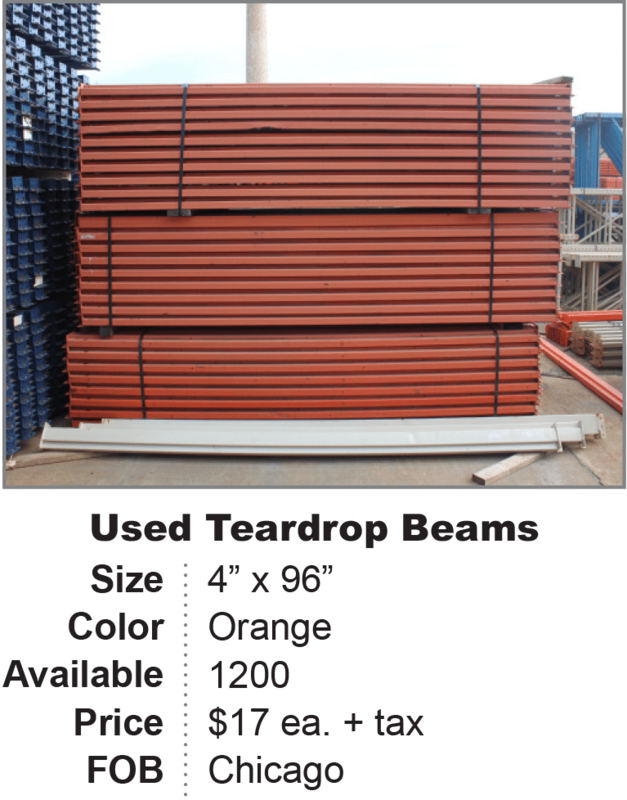 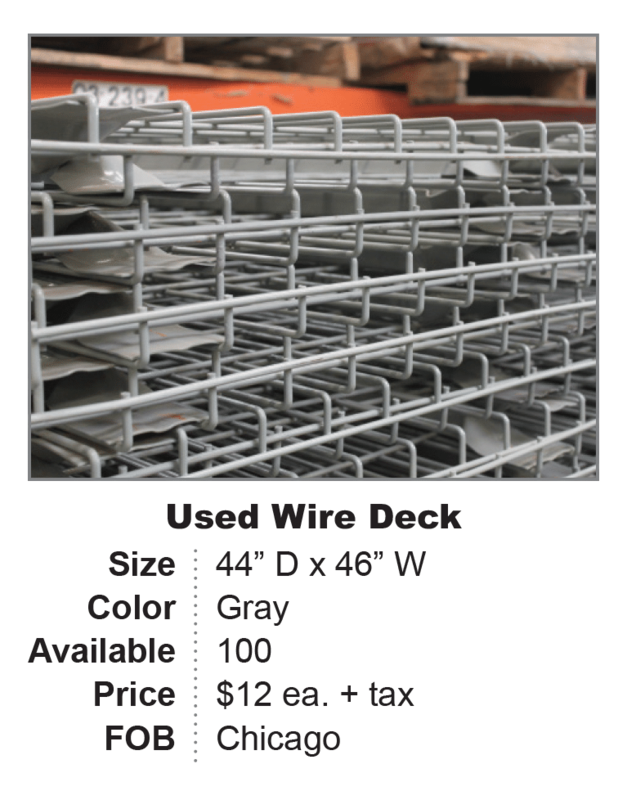 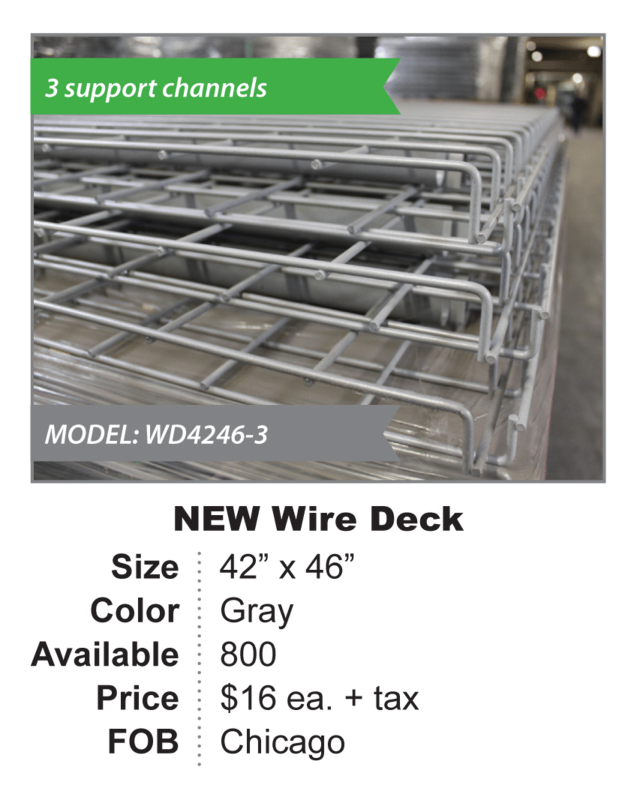 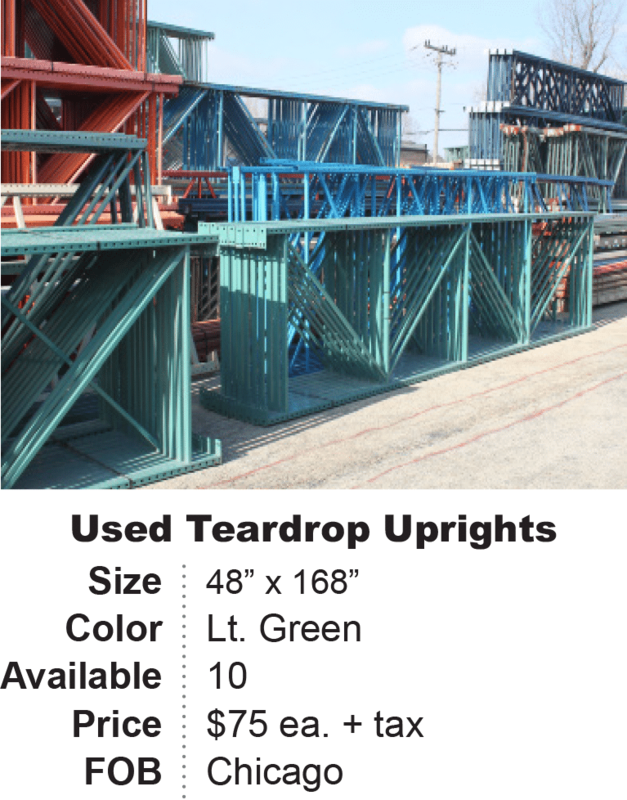 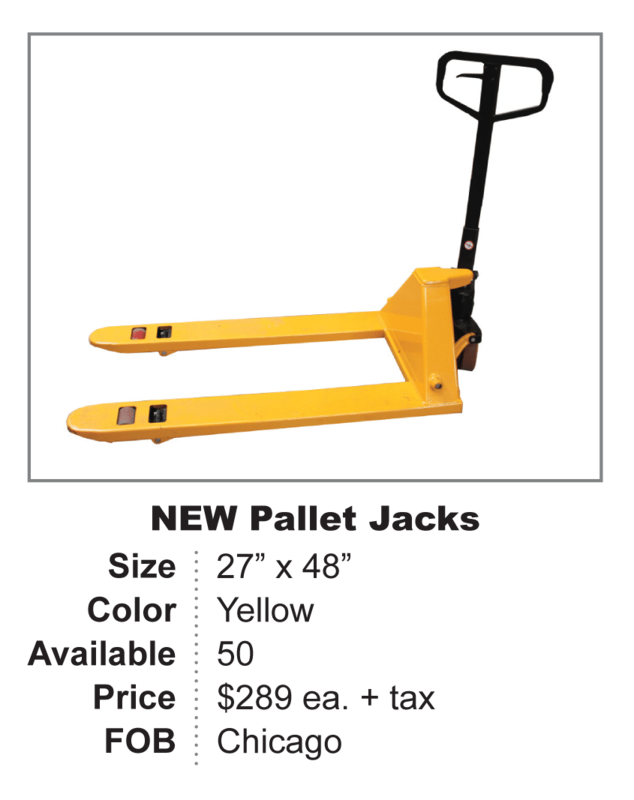 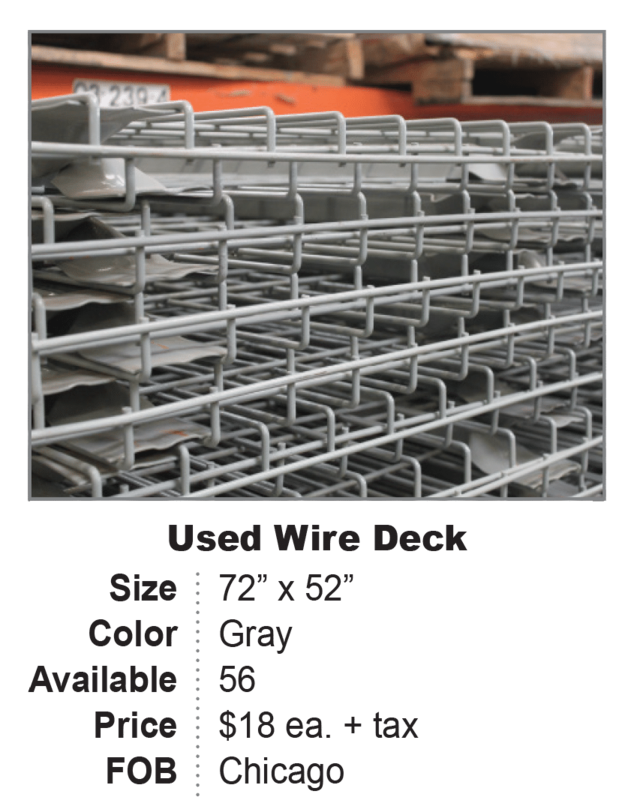 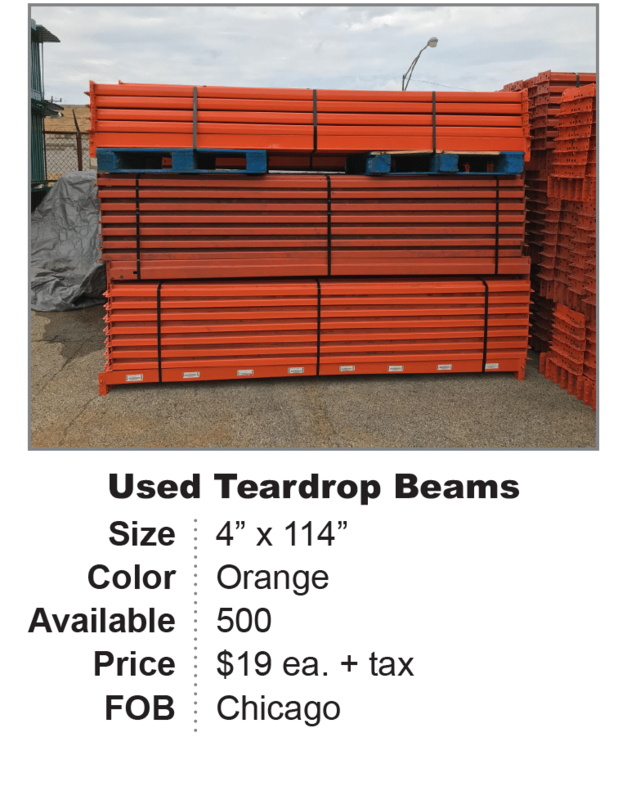 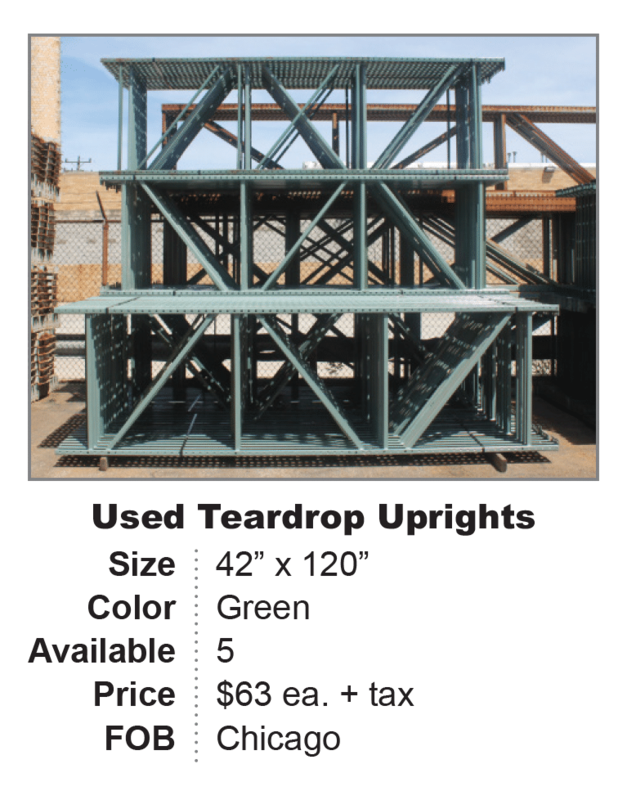 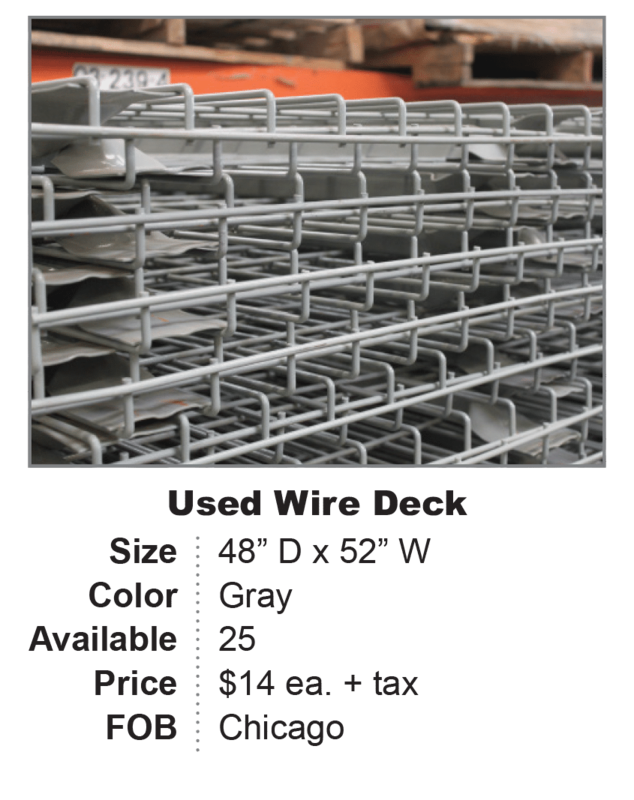 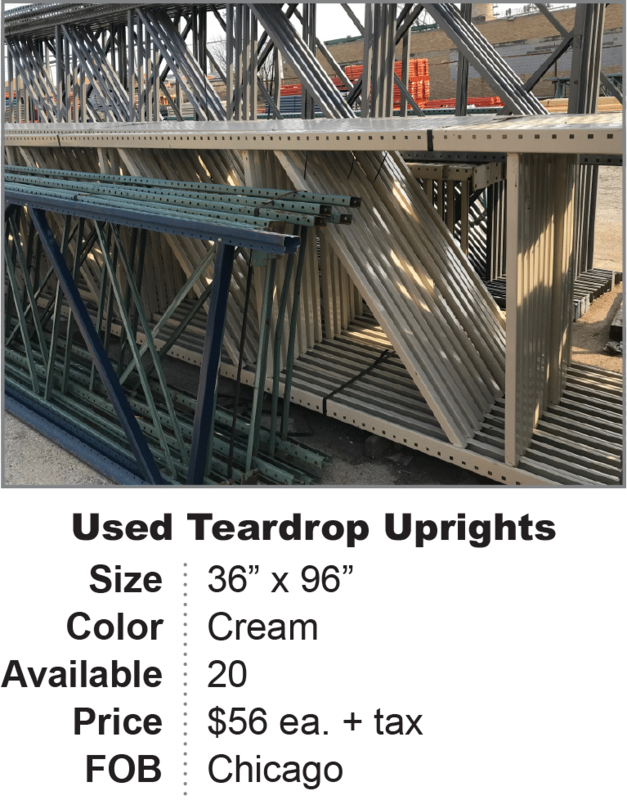 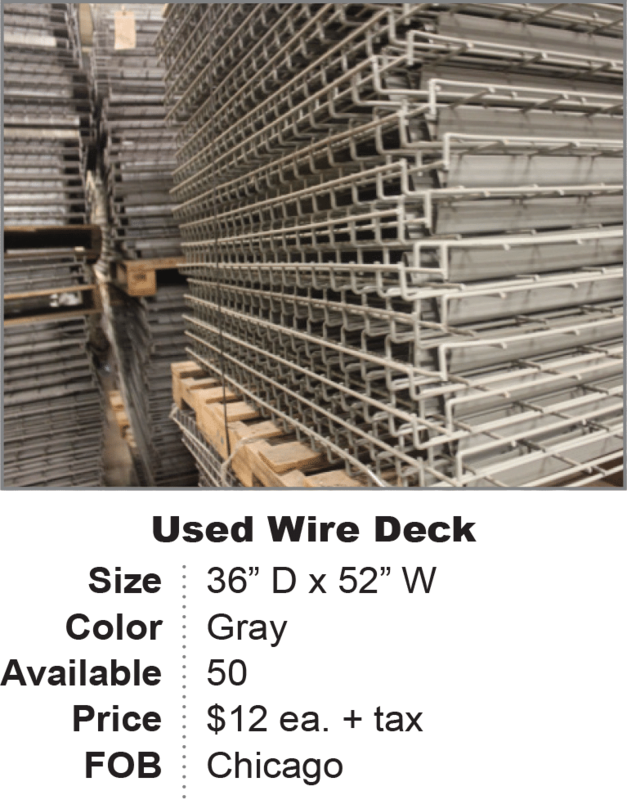 Below is list of used pallet rack and other items currently in stock in our Chicago warehouse. 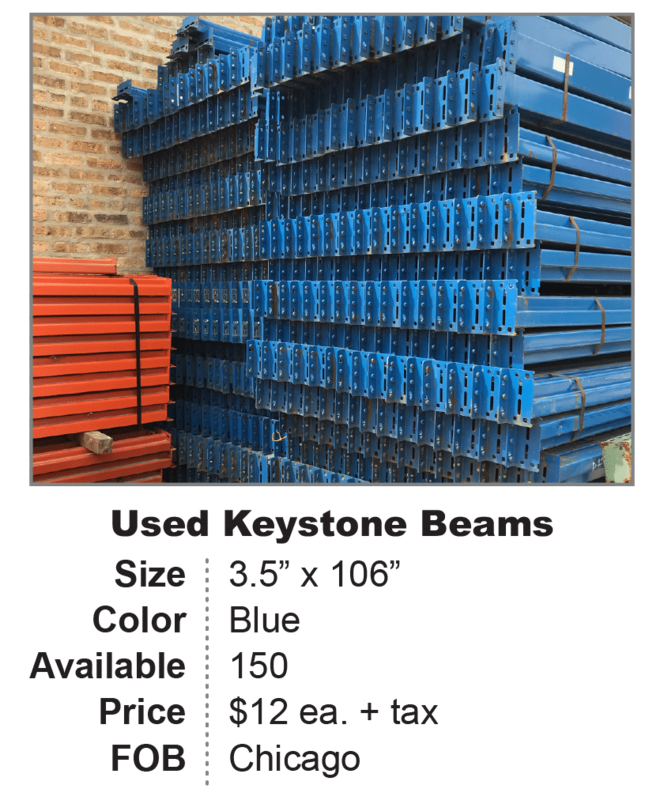 To purchase used pallet rack or other used equipment, fill in the contact form on this page or call 773-453-5602 to speak with Don Nolimal. 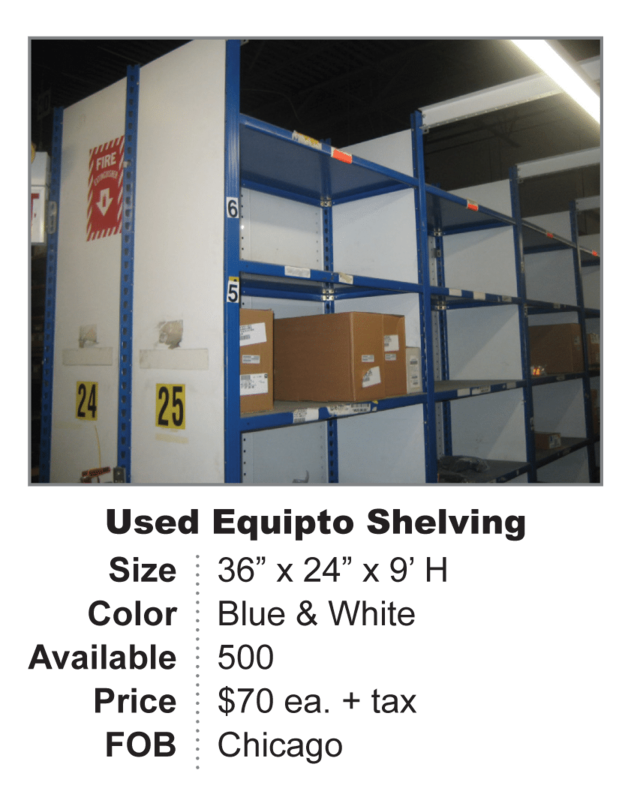 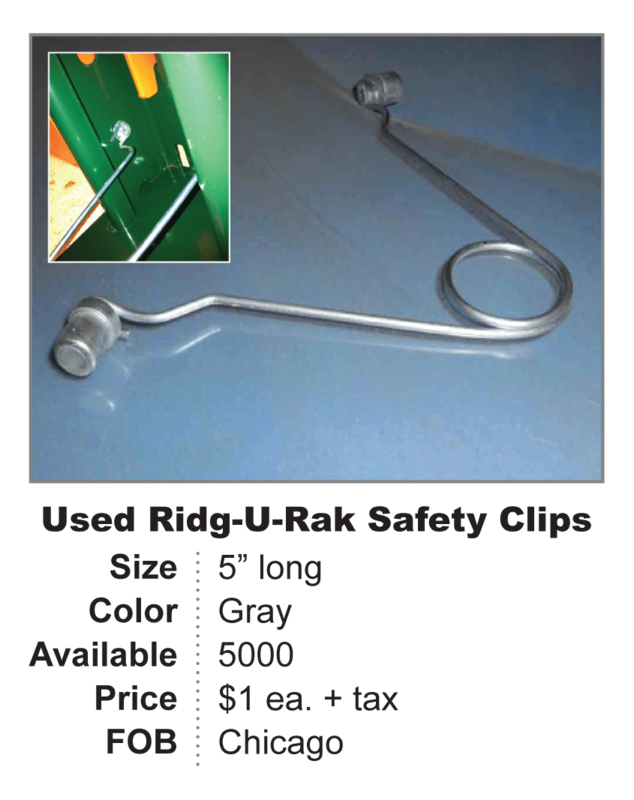 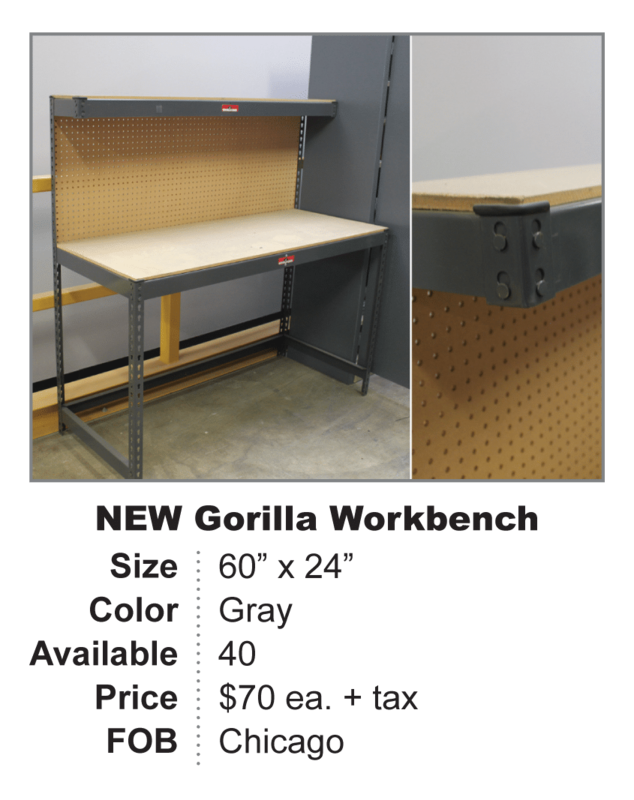 We are consistently updating our stock; if you don’t see the item you’re looking for, give us a call.